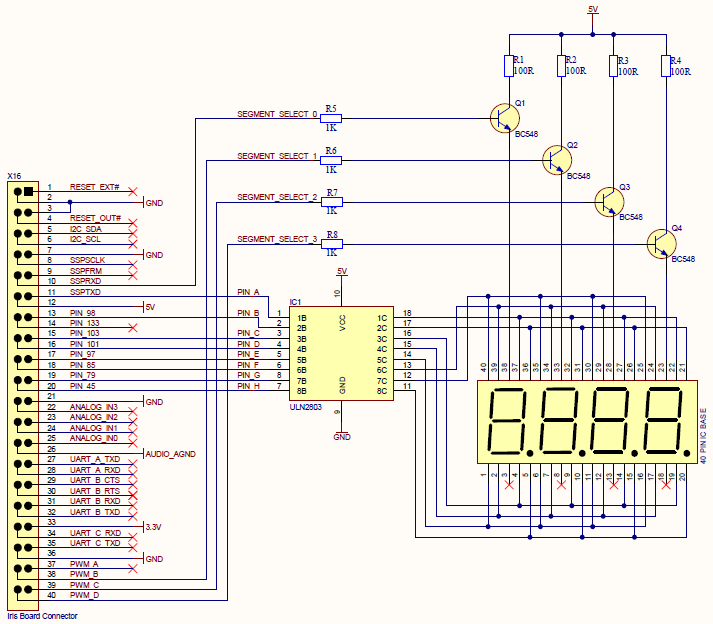 A seven segment display is an electronic display device for displaying decimal numerals. This tutorial will explain how to interface seven segment display with Toradex module. In this tutorial, LT542R(Seven Segment Display) has been interfaced with Iris Carrier Board V1.1A. 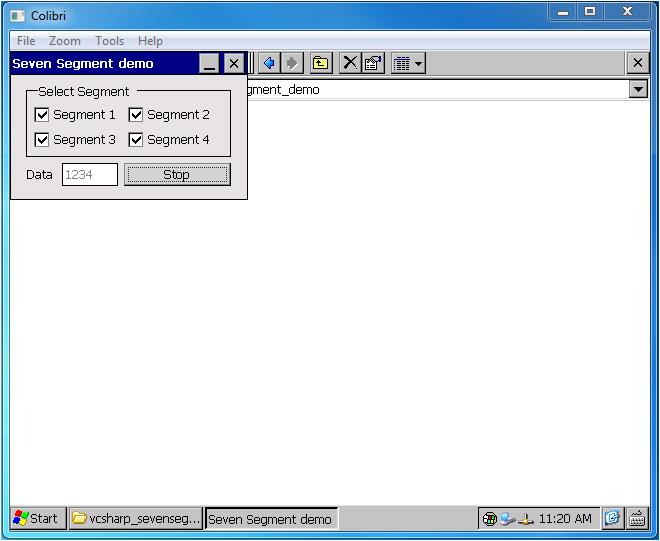 Navigate to My Device > Program Files > sevensegment_demo and run the application sevensegment_demo.exe. Go to My Device > Program Files > vcsharp_sevensegment_demo and run the application vcsharp_sevensegment_demo.exe. Following GUI will open where individual segment On/Off can be configured.